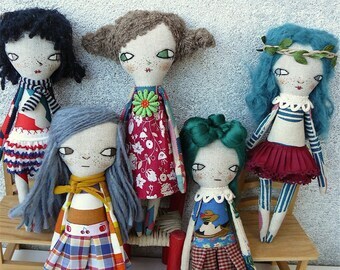 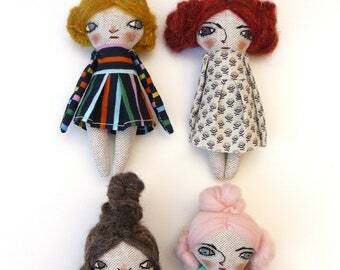 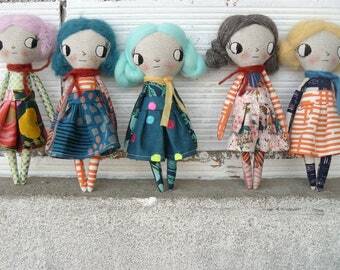 Little funny and strange quirky dolls. 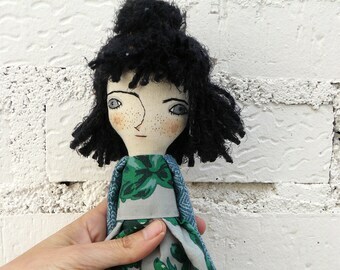 Big eyes. 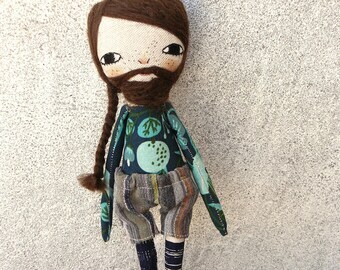 20 cm Embroidered and hand painted. 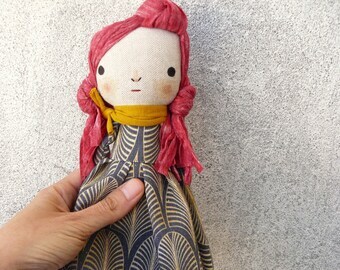 Heirloom linen and cotton doll with a lot of outfits (dress, shirt, skirt, pant, bag and scarf). 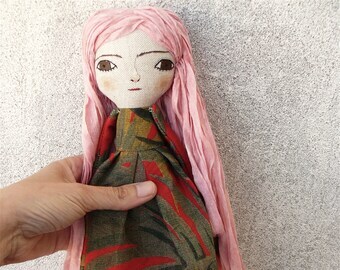 40 cm. 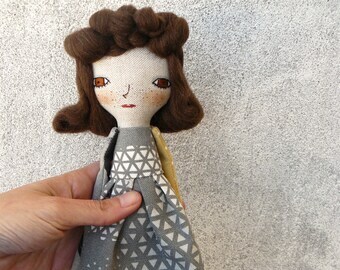 Announcement I ADDED MANY DOLLS TO MY SALES SECTION! 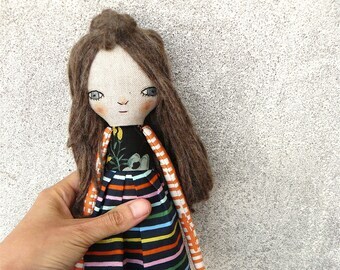 If you like some of the items already sold and you want a similar one, please feel free to ask me: I can make it again for you. 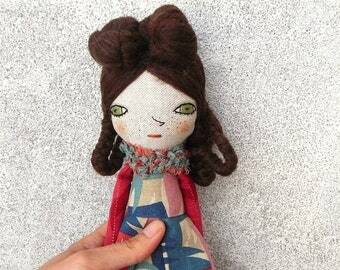 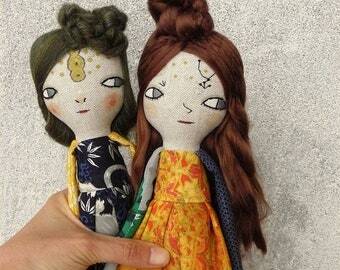 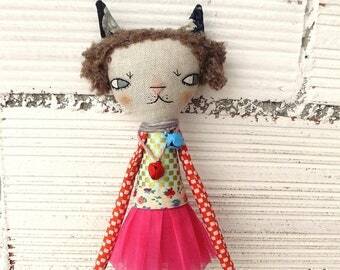 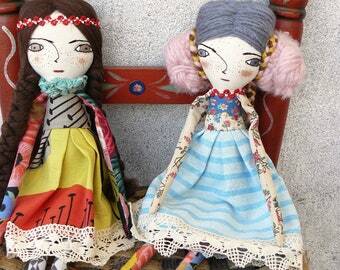 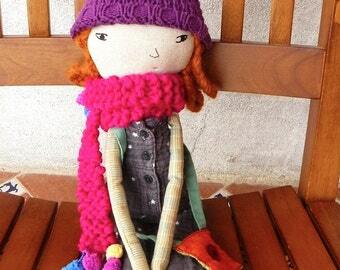 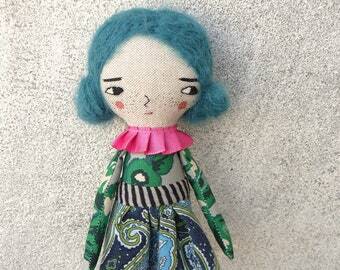 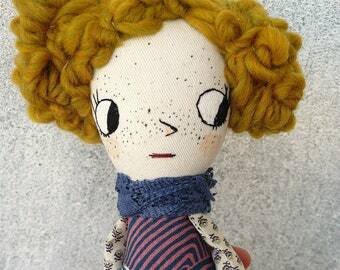 Handmade rag dolls from natural materials and simple toys and accessories. 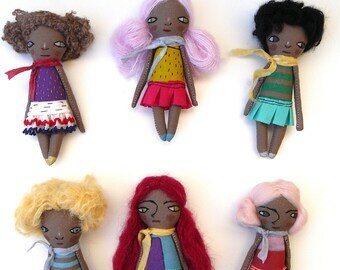 I ADDED MANY DOLLS TO MY SALES SECTION! 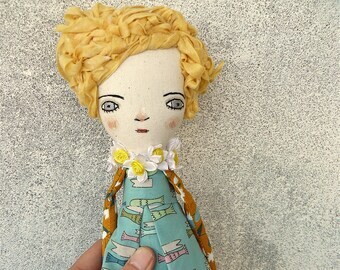 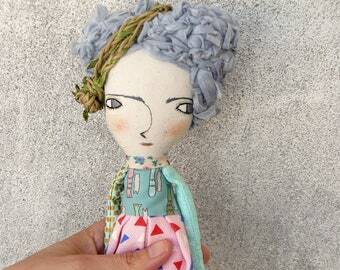 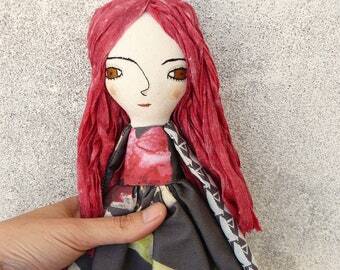 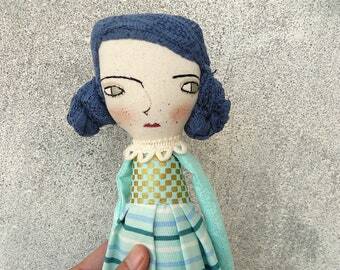 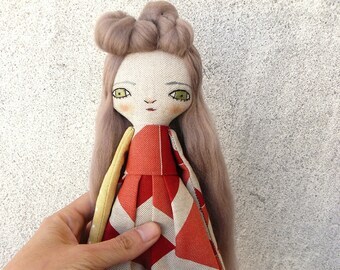 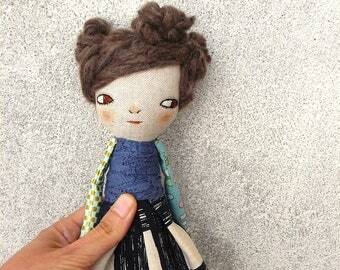 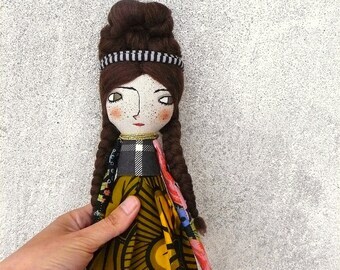 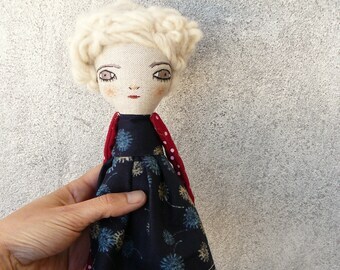 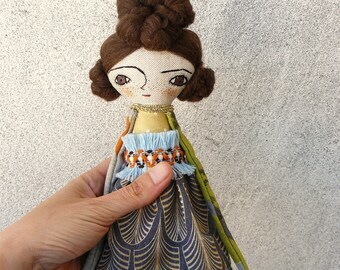 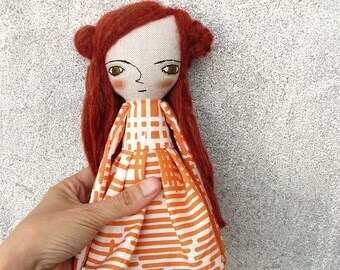 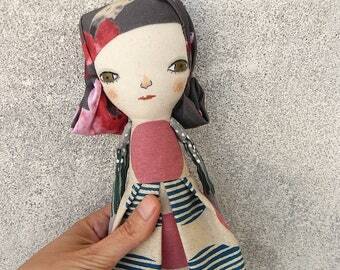 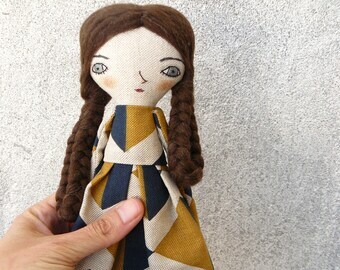 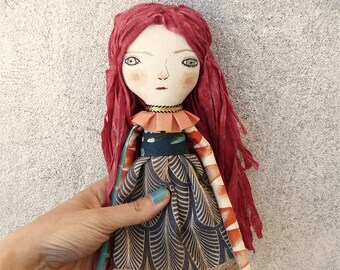 Art doll in cotton and linen. 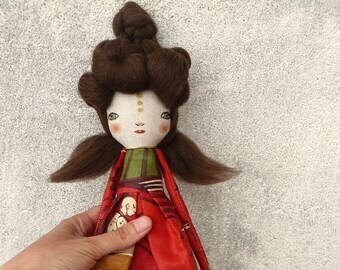 Alpaca and silk hair. 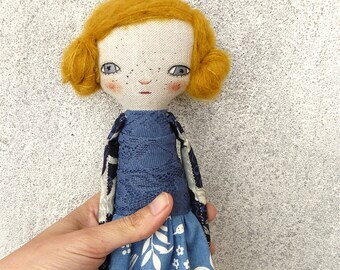 38 cm. 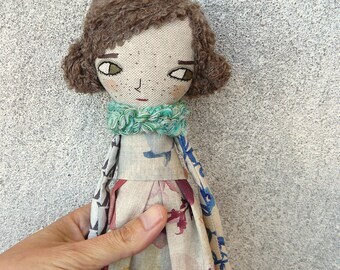 Art doll in cotton and linen. 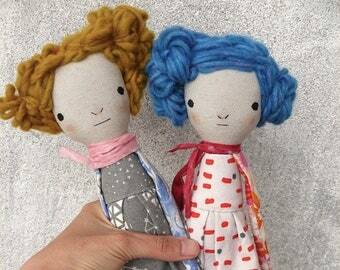 Wool hair. 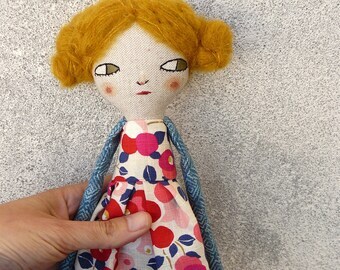 38 cm. 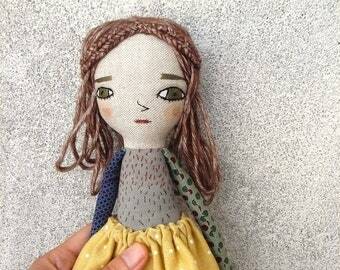 Hand embroidery. 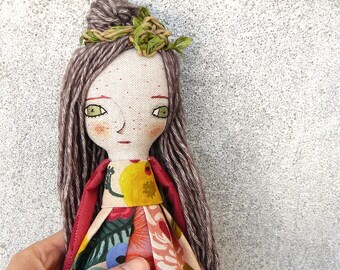 Woman portrait. 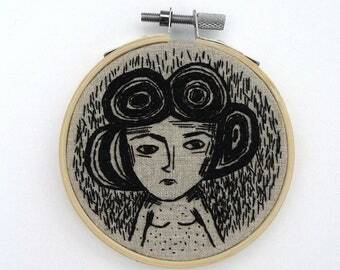 Hoop art. 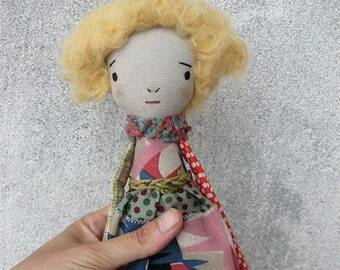 8,5 cm.